The Behavioral Health Center of Excellence (BHCOE) has recognized the Center for Learning and Autism Support Services, also known as CLASS, with an accreditation acknowledging the organization as a behavioral service provider committed to continuous improvement in Applied Behavior Analysis service delivery. The Accreditation represents behavioral health providers committed to continuous peer review, measurement for outcome analysis and strives to excel in areas of clinical quality, staff satisfaction and qualifications, and consumer satisfaction. These areas are measured via a wide-ranging audit, including interviews with agency clinical leadership, a detailed staff qualification review, anonymous staff satisfaction survey, and anonymous consumer satisfaction survey. BHCOE Accreditation is the only ABA-specific accreditation. It provides feedback regarding clinical best practices, staff satisfaction and staff turnover, and consumer protection. Acting as a third-party, the organization systematically measures and reports on existing quality criteria in the behavior analysis community using standardized methods and practices, and accredits only those service agencies that meet these standards. 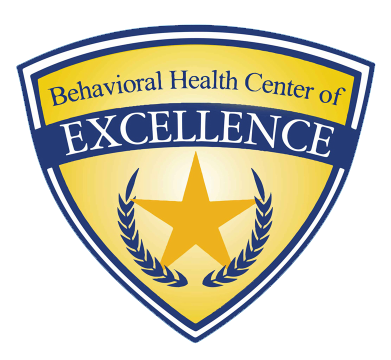 The Behavioral Health Center of Excellence is a trusted source that recognizes top-performing behavioral health providers. BHCOE offers a third-party measurement system that differentiates top services providers from exceptional services providers. The BHCOE criterion features standards that subject-matter experts developed to measure state-of-the-art behavioral health services. For more information, visit http://www.bhcoe.org/. What is center of excellence? 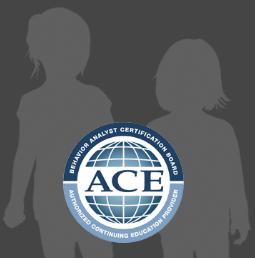 A center of excellence is an organization that values clinical quality, staff satisfaction and parent satisfaction while providing ABA services. Can anyone become a BHCOE? No, providers are not given the accreditation, it is earned. Providers are evaluated on a number of measures related to clinical quality. What does the award mean for the organization’s clients? The BHCOE accreditation demonstrates that the company meets the highest standards of verified clinical quality, transparency, and accountability. Collectively, BHCOE’s lead a growing movement of behavioral health providers that aim to increase the collective quality of services across the United States. The BHCOE accreditation indicates that the company respects employees. As an employer, you know that your organization’s success starts and ends with its employees. The BHCOE accreditation demonstrates to employees that their company cares about their feedback, is able to look internally, and can set goals for continuous improvement. The BHCOE accreditation demonstrates a company’s impact. Businesses across the US use the BHCOE Clinical Audit to benchmark their performance and set goals for continuous improvement. The clinical audit is a great tool to help your organization become a more sustainable company. Think of it as a regular check-up to see how clinically and administratively healthy you are and how you’ve improved. Center for Learning and Autism Support Services, Inc.
SAN FRANCISCO, May 16, 2017 – EY today announced that Denise Pollard, CEO and Founder of Center for Learning and Autism Support Services, Inc. is a finalist for the Entrepreneur Of The Year® 2017 Award in Northern California. The awards program, which is celebrating its 31st year, recognizes entrepreneurs who are excelling in areas such as innovation, financial performance and personal commitment to their businesses and communities. Denise Pollard was selected as a finalist by a panel of independent judges. Award winners will be announced at a special gala event on June 23rd at The Fairmont in San Jose, California. Center for Learning and Autism Support Services, also known as CLASS, is a nationally recognized Applied Behavior Analysis (ABA) provider delivering state-of-the-art ABA services, which are performed within the home, school, and/or clinic setting. We eagerly collaborate with professionals from other disciplines and disseminate data and research in order to ensure best practices and optimal outcomes for each client. We are dedicated to cultivating partnerships with other community providers to ensure continuity of services for their clients. Now in its 31st year, the program has expanded to recognize business leaders in over 145 cities and more than 60 countries throughout the world. Regional award winners are eligible for consideration in the Entrepreneur Of The Year National Awards. Award winners in several national categories, as well as the Entrepreneur Of The Year National Overall Award winner, will be announced at the Entrepreneur Of The Year National Awards gala in Palm Springs, California, November 18, 2017. The awards are the culminating event of the Strategic Growth Forum, the nation’s most prestigious gathering of high-growth, market-leading companies. The Entrepreneur Of The Year National Overall Award winner moves on to compete for the World Entrepreneur Of The Year Award in Monaco in June 2018. Founded and produced by EY, the Entrepreneur Of The Year Awards are nationally sponsored in the US by SAP America, Merrill Corporation and the Ewing Marion Kauffman Foundation. In Northern California, regional Gold sponsors include SolomonEdwards; Silver sponsors include Big Picture Inc. and Chatham Financial. EY’s worldwide Growth Markets Network is dedicated to serving the changing needs of high-growth companies. For more than 30 years, we’ve helped many of the world’s most dynamic and ambitious companies grow into market leaders. Whether working with international mid-cap companies or early stage, venture-backed businesses, our professionals draw upon their extensive experience, insight and global resources to help your business succeed. For more information, please visit us at ey.com/sgm or follow news on Twitter @EY_Growth. EY is a global leader in assurance, tax, transaction and advisory services. The insights and quality services we deliver help build trust and confidence in the capital markets and in economies the world over. We develop outstanding leaders who team to deliver on our promises to all of our stakeholders. In so doing, we play a critical role in building a better working world for our people, for our clients and for our communities. EY refers to the global organization, and may refer to one or more of the member firms of Ernst & Young Global Limited, each of which is a separate legal entity. Ernst & Young Global Limited, a UK company limited by guarantee, does not provide services to clients. For more information about our organization, please visit ey.com. The spirit of entrepreneurship is alive and kicking in Northern California— and we couldn’t be happier to be a part of all the action! Denise Pollard, Founder and CEO of Center for Learning and Autism Support Services, Inc. (CLASS), was recently announced as a semifinalist in the Entrepreneur Of The Year 2017 Northern California Awards program. As the world’s most prestigious business award for entrepreneurs, Entrepreneur Of The Year has been at the forefront of identifying game‑changing business leaders for more than three decades. The program has honored the inspirational leadership of such entrepreneurs as Howard Schultz of Starbucks Coffee Company, John Mackey of Whole Foods Market Inc., Pierre Omidyar of eBay, Inc., Reid Hoffman and Jeff Weiner of LinkedIn Corporation and Mindy Grossman of HSN, Inc. Nominated by Emily Armenta, we’re honored to have Denise Pollard recognized among so many other notable business luminaries in Northern California. Learn more about the Entrepreneur Of The Year Northern California program and follow our journey to the awards!